A simple Google or Pinterest search on “winterizing” will give you enough results to keep you busy until Jesus returns. The number of results is dizzying. How much time do you spend preparing for winter? Take a moment and run through your mental checklist, maybe yours will take more than a moment. Growing up in Miami I never had to prepare for winter, so I didn't know how to. Lack of knowledge made me dislike it because when winter rolled around I was cold and unprepared. It made me mistake my lack of preparation for dislike. When I learned how to prepare for it after going through several, I found I didn't dislike it. I can now honestly say I enjoy winter seasonally and spiritually speaking. Lack of preparation is a welcome mat for fear. How much time do you spend preparing your heart for winter? If you don't have a mental checklist, maybe these ideas will help. Be reminded that a spiritual winter season isn't on the calendar, so it is a good idea to make these things part of a lifestyle rather than put them into practice after the season has changed. If we humble ourselves He will prepare our hearts. This is a posture more than a behavior. Keeping ourselves teachable before Him and willing to allow Him to transform areas of our lives that are not pleasing to Him or fruitful for us. He knows what our next season will bring and what will best serve us in that season, but He needs our participation. It took me a long time to be able to look at the messy areas He wanted to clean up, I was afraid. 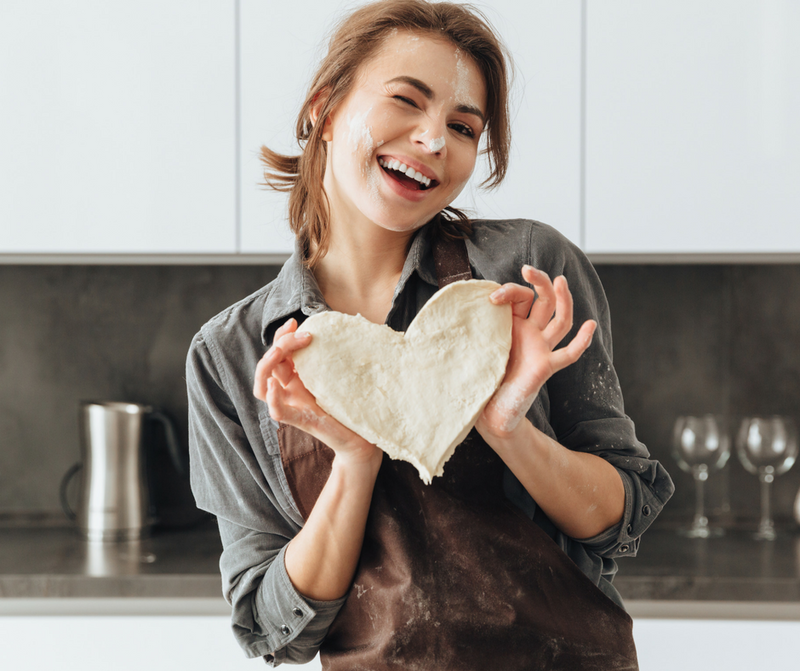 As I entered into more intimate relationships with Him, my children and friends, I learned I was not the only one with messy areas. The fear turned into faith that He would be right with me. Right. In. The. Middle. Of. The. Mess. thou wilt prepare their heart. 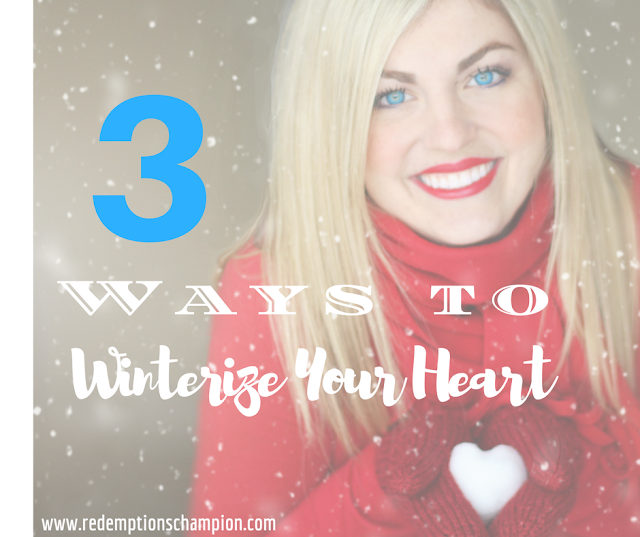 If we fix our hearts on Him we will not be so easily rattled by what winter might bring. When we focus on Him and all that He is, we cannot be distracted by even the most difficult of seasons. We will hear Him clearer and be more apt to obey when He gives us direction to guide us into a new season. I believe this is how Paul praised Him in all things, it was a condition of his heart (1 Thessalonians 5:18). If we continually share what the Lord has done in our hearts and lives we are combating the temptation to be afraid, discontent or frozen in a winter season. It is hard to be fearful when we are recalling what the Lord has done. Even David when facing Goliath recalled killing the lion and the bear and acknowledged that God had been the one to deliver him from the paw of the lion and bear. It gave him confidence that the Lord would deliver Him from the hand of the Philistine too. If we apply these three things to our lives, we will not fear when winter comes. We will “stand firm” as we wait for His deliverance in the harsher seasons. We will be prepared. And being confident of this, that he who began a good work in you will carry it on to completion until the day of Christ Jesus Philippians 1:6.